You’ve likely seen an unmanned drone helicopter somewhere in your city. I had one hovering above me, following me as I rode my mountain bike one day. 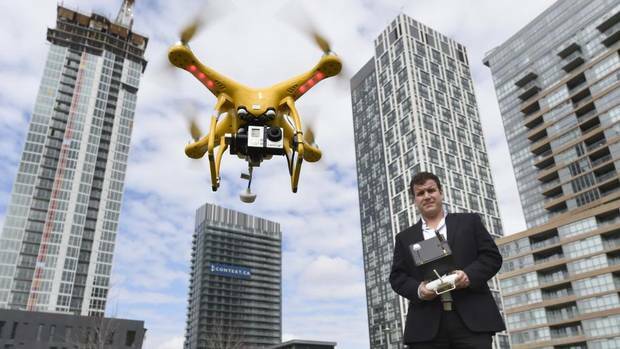 Drones are giving realtors a new more exciting way to showcase properties. Realtors might not recognize that drones represent hypergrowth or a disruptive evolution in real estate marketing. Using video can create more captivating perspectives for homebuyers. Realtors could buy a 4K TV and invite visitors to their homes to show properties in splendid detail. A great excuse to create an event with you as the host. Right at the time realtors are courting European, Chinese, and Middle East buyers, they have a presentation format that gives these distant buyers the meaningful perspective they need. Photos just don’t have the same impact. Today’s drones are very stable in flight, and controllable. An onboard HD camera allows the operator to fly the drone far from where they’re standing and take video and still shots from angles that are impossible to get any other way. This might be a point where you need to reflect on your career and how you’re doing marketing. If you haven’t yet adopted a high powered IDX, responsive website, with great content and social media engagement with video, then you’re not staying competitive. Drones and video technology will disrupt traditional real estate marketing ushering in a new era of high definition home shopping. Sky High Media serves the Toronto region with aerial photography. Explore their site to learn more about how it can help you sell more properties. Aerial photography for a residential property can start as low as $249 per property. This typically includes 5-15 high resolution aerial photos. The number of photos depends on how many unique angles the property presents. A 1-2 minute HD aerial video tour with music and 5-15 aerial photos can start as low as $399. They’re small electric powered helicopters weighing only a few pounds. They use 4 to 8 rotors that give them powerful speed and maneuverability. The stability of their flight is surprising to anyone seeing them for the first time. For surveyors, farmers, property owners, civic engineers, and others, the drones give them valuable perspectives and information they need to monitor conditions and make decisions. 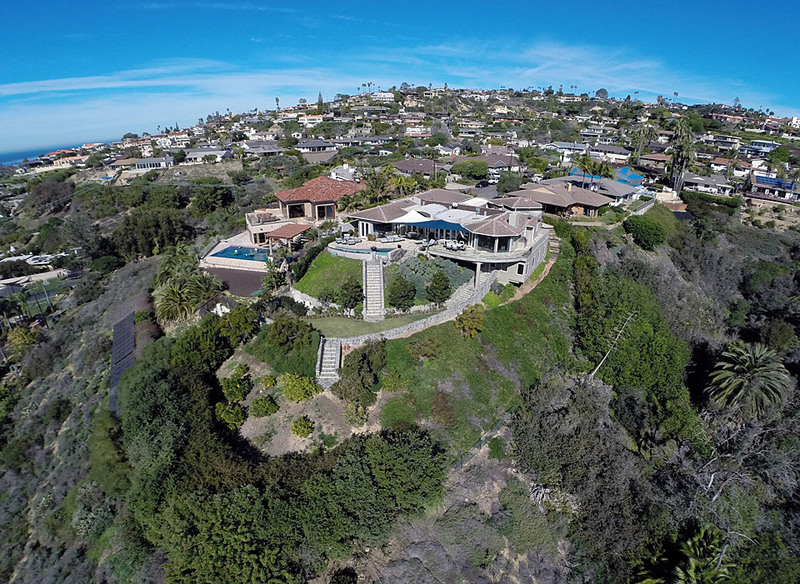 For realtors, the drone technology lets them capture stunning aerial fly-over videos of the properties they have for sale. Real estate buyers and developers can view the property, condo building, house, or neighborhood in amazing high definition on a big screen TV or their computer or smartphone. 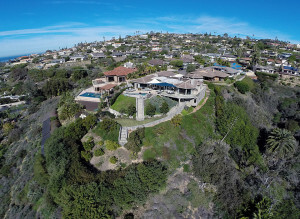 A realtor can deliver a bird’s-eye view of hillsides, swimming pools, landscapes, streets, and the whole neighborhood. It’s easier for a realtor to find ways to ehance their presentation and increase interest in and leads for their properties. If you’re a San Diego realtor, check out Real Estate Drones of San Diego and in Vancouver, visit Lift Marketing for some great info. 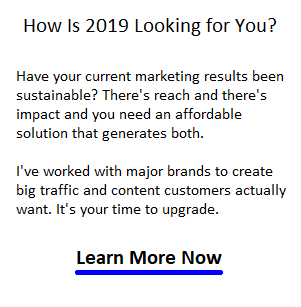 If you’re looking to seriously upgrade your digital marketing and need a pro with experience in real estate, including San Diego, Vancouver, and Toronto real estate, please contact Gord at [email protected] Looking forward to speaking with you. Hey Gord, just wanted to wish you a happy Thanksgiving and say thanks for the plug! I was checking my web stats this morning and saw your site is referring so I checked it out. Very cool! What city do you do most of your work in and I’ll return the favor? Hey Adam, you’re welcome and thanks. I’m near Toronto and we had our Thanksgiving about 5 weeks ago. If I land any San Diego clients I’ll recommend your services. It’s a nice addition to real estate marketing services. I’m sure brokers would love it.